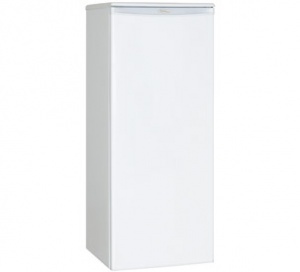 This modern upright freezer by Danby is ideal for all types of households and decors. 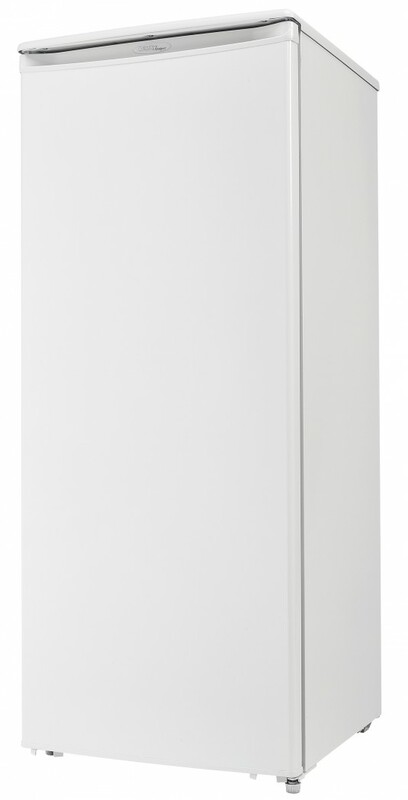 The classic design allows it to easily integrate into any setting and the generous 8.2 cubic feet (232 litres) of storage space is ideal for smaller families and couples There’s plenty of cooling area due to the four handy door shelves and three additional quick-freeze shelving units. 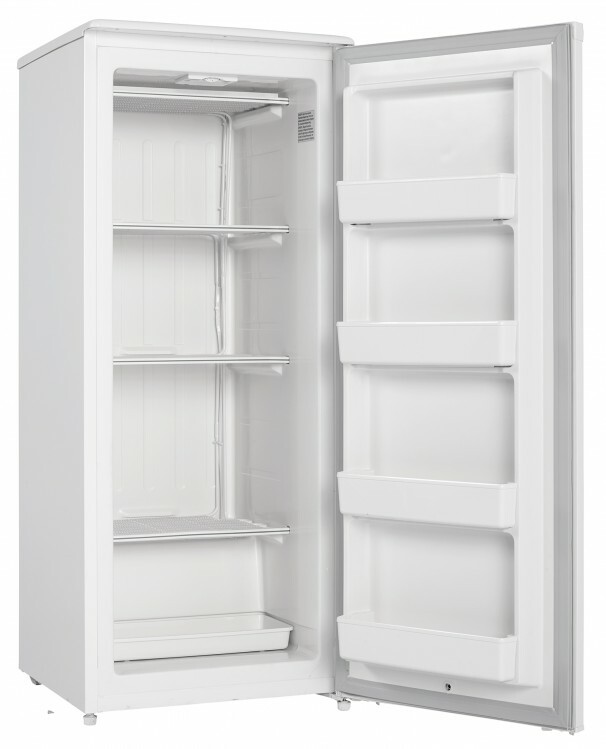 The convenient manual-defrosting function makes it easy to maintain and keep ice-free and it also features an internal drip tray. The ultra-modern mechanical thermostat is a breeze to program and monitor while the scratch-resistant worktop is ideal for storing extra accessories. 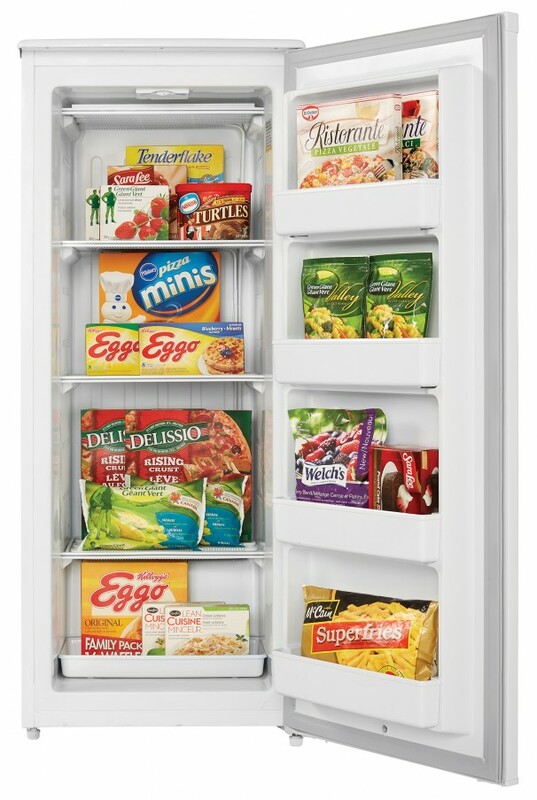 This ultimate freezer also features an intelligent reversible door hinge which allows you to adjust it for either left or tight-handed opening and offers a 5 year warranty on parts and labour with in-home service to boot.